*You’ve probably heard Miranda Warnings being given to a person in police custody on television shows or in movies. Individuals should be mirandized if in police custody and subjected to police questioning or interrogation. The purpose of the Miranda warning is to protect criminal suspects from self-incrimination. Essentially, protecting individuals from having their own statements used against them in court. The right to remain silent is not exercised as often as you may think. Although an officer may advise a suspect of his/her rights pursuant to Miranda, some suspects will waive their rights and speak to police about a crime that is being investigated. Shortly thereafter, the police may have a confession in hand. In some cases, it may be difficult to dispute a waiver, especially when the waiver is in writing. Sometimes confessions or statements may be suppressed after a hearing on the issues if proper procedures are not followed. But in other cases, confessions may be admitted into evidence at trial. 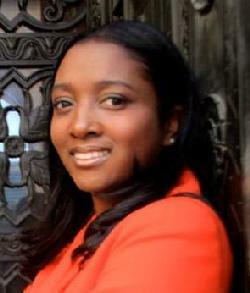 Jameika Williams Mangum is an Attorney at the Mangum Law Firm, LLC in the Chicago area. The Mangum Law Firm, LLC is a general practice firm with a focus on Criminal, Civil, and Family Law. For more information, please visit www.themangumlawfirm.com or www.rollingmeadowsattorney.com.